What I can't understand is this: just today I found a tutorial on printing your own circuit paths, ironing them into pc boards and then etching them. 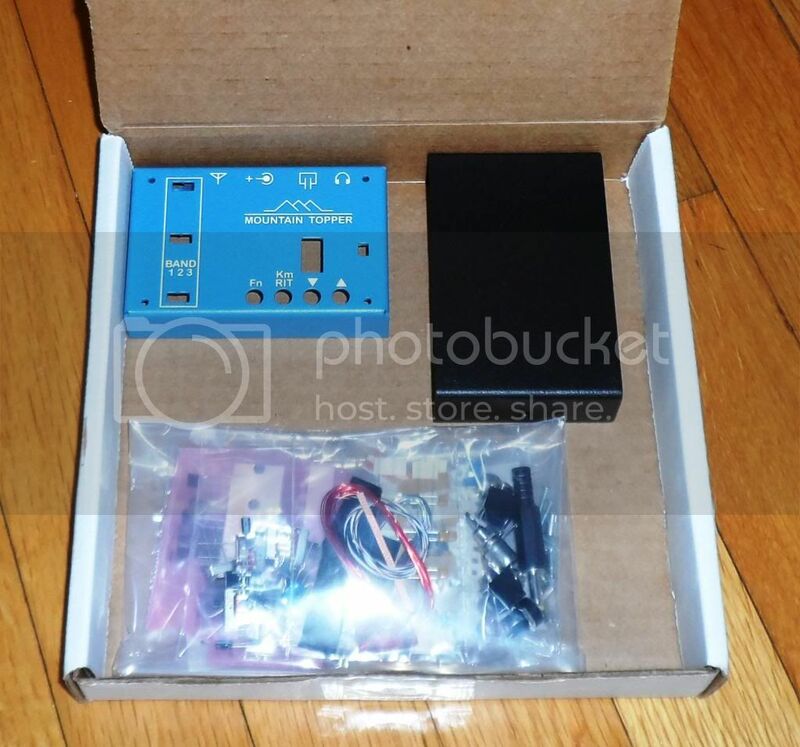 SMT posts are readily available on Amazon, so why is this MTR kit so rare? Why is it no one has photographed this board and posted it and a schematic online for others to homebrew? Laugh if you will, but today I've ordered electronics for dummies, an SMT soldering practice kit, an AM radio kit that has schematic symbols and circuit stages labeled on the board so students can learn where each stage is and have downloaded a book whose name I can't remember. Something about From Crystal Sets to something else. I'm determined to learn how a radio works. Well, much better than I do now. A Rock Mite or pixie will also be ordered today when I leave this Chinese buffet. I don't see why this MTR can't be more accessible than it currently is. It isn't more accessible for one simple reason: The schematic is Steve Weber's intellectual property. He worked hard at it, spent his time and money to develop it. It isn't free for the taking. He should be the one getting paid for his efforts. Copying the design is stealing, the same way you would steal it in a store. Some people are certainly going to get inspired from his schematics and come up with neat stuff, but that is different. It requires knowledge and efforts, and it helps develop better systems. We all get inspiration from somewhere. However, outright copying is theft, pure and simple. Imagine if you knew someone was going to copy the design you spend a year developing, hoping to pay a few late bills with the profits, and some guy released files of the copied PCB.. Right.. That's why the MTR files are not free to download. If Steve would have known for instance that someone would copy his design (which might still happen) and he would lose a big chunk of his profits, he might have decided to not bother design the next model, and that would be a real loss to all of us. You're right. Guess I've just gotten to used to everything being free and available on the internet that I don't even think about it anymore. I knew this was a very small rig but you don't quite get the true perspective until you hold it in your hand. Got mine today too. Of course, it's going to be a couple weeks before I can get started on it. I just finished soldering all the resistors to the top side of the board........ holy crap, they ain't kiddin' when they say theses are tiny components! I think I pretty well got the hang of it but it sure is a totally different animal than thru-hole. Pics to follow later. I won't be building this weekend. I have to do some business travel. It looks like it will be another week :-(. Anyone look to see if there's room to use a BNC instead of RCA for the antenna connector? I don't like the non-locking RCAs or having to use an adapter for all my BNC stuff. I'll let you know once I reach that point. I'd prefer BNC also but I suspect Steve used RCA for a reason....... like there's not enough room for a BNC. On mine, I replaced the RCA with a BNC, but the two-bander has a slightly taller case.. I finished about 80% of the SMT resistors, capacitors, inductors and trimmers tonight but it's getting late so I'll hit it again tomorrow. I predict I'll complete sometime Saturday barring any life surprises that come up. I'd post some pics but honestly there's not much to see at this point, just a PCB with a bunch of tiny specks on it. All the SMT components are installed............. those tiny things take lots of concentration and strong magnification but now I'm on to the stuff I'm very familiar with - thru hole, winding torroids, jacks, hardware, etc. I should be done with it by sometime tomorrow but I gotta give my eyes a break, hitting the rack now. Did you use a soldering iron or a heat gun and paste? Soldering iron with my smallest needle tip. In some ways SMT is easier than thru-hole; no constant flipping the board over, bending leads to hold the component in place and trimming hundreds of leads. In other ways it's more difficult; tiny parts are difficult to handle and position in place. In a nut shell it's not really better or worse from a building standpoint, just different.